Please confirm with the restaurants staff to see if they offer the Armed forces discount before ordering. Present your military / service ID to get your 25% discount! 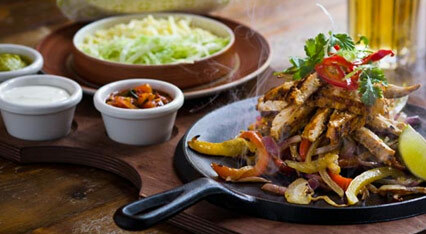 There is something for everyone at Chiquitos so wether you´re looking for the hottest, spiciest flame-filled fajita or the coolest kick back and relax cocktail, south of the border is the place to be. Chiquitos would like to say thank you for your service by offering 25% off your total food bill when you present your military ID at our restaurants. See the Chiquitos website for full terms and conditions.